Kodiak Charters is a family owned and operated business. Each member of our family was born and raised on Kodiak Island and each one has a designated job in the family business. 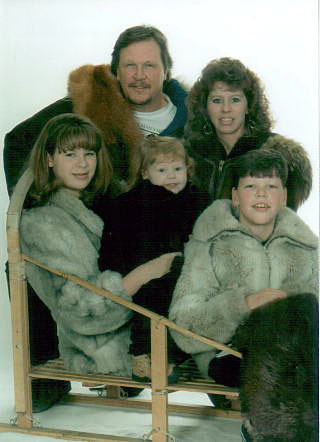 Randy has been involved in hunting and fishing his entire life as well as commercial fishing. Nobody can put you onto more fish and game. His knowledge of the island is well respected by all. Take advantage of the decades of experience he has and put them to work for you. Terri manages the camp and ensures everyone starts their day with a great breakfast and has a filling lunch packed. Upon returning after an exhilarating day on the water or in the field everyone is met with the smells of good home cooked meals being prepared Alaskan style. Their three children are all part of our operation. Brian is a registered fishing guide and Stephanie and Sarah both help manage the camp with their mother.